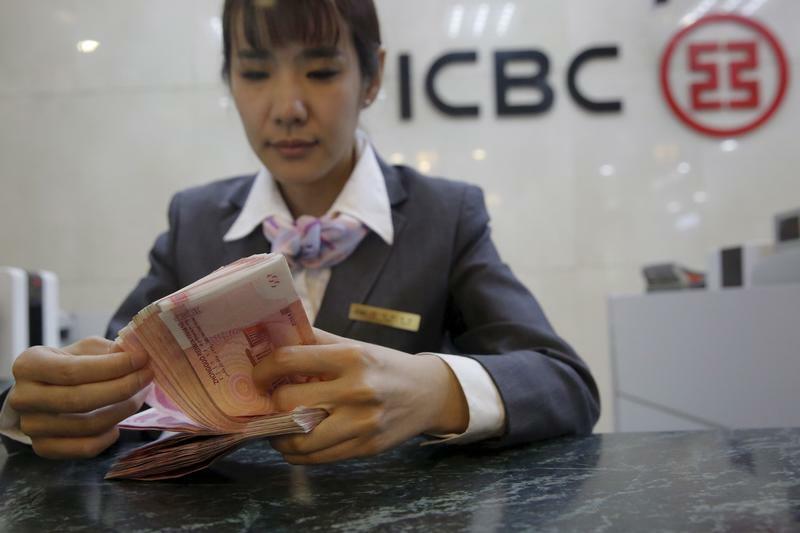 China’s largest commercial bank will raise $30 bln by 2020. Its bad loan ratio looks healthy enough on paper, but weak credit is getting rolled over. Stronger reserves will help it come clean as regulators tighten up. Its smaller rivals, though, will struggle to follow suit. A clerk of ICBC bank counts Chinese one hundred Yuan Banknotes as she poses for a photographer during a photo opportunity at its branch in Beijing, China, April 13, 2016. Industrial and Commercial Bank of China, the world's largest commercial bank, said on Aug. 30 that it would raise up to 210 billion yuan ($30.7 billion) to replenish its capital by 2020. As part of the plan, the lender said it would raise up to 110 billion yuan in tier 2 capital, a form of supplementary reserves that includes hybrid instruments and subordinated debt. It will also issue 100 billion yuan in preference shares. ICBC's non-performing loan (NPL) ratio was 1.54 percent at end-June, steady from the end of March.